The new snow over the past few days is great to see. I hate to say it because it’s been a long winter up here in Island Park but I would be OK with another foot of snow up here. 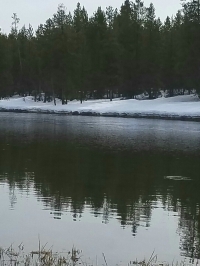 As we come into April the upper Henry’s Fork basin is currently at 107% of average. Things look even better in the Fall River and Teton area. Fishing in the Box has been good. The out- flow at the Island Park dam is currently 199 cfs and the reservoir 85% of capacity. Access continues to be the only issue. Getting a drift boat down to the water would be a challenge to say the least. I do think dragging a raft or person pontoon boat would not be a problem but I would still bring the snow shoes as a precaution. If don’t have snow shoes stop by the shop for some rentals. Patterns have not changed much since my last report. Rubber legs and small bead heads will do the job. A good selection of streamers is also a good idea. If you’re looking for some great dry fly fishing than I would look at the Buffalo River. Good hatches of blue wing olives and midges are happening daily. A #20 b.w.o no hackle and some #16 and #18 Griffith’s gnat will keep you plenty busy. I have been parking at the bridge near Ponds Lodge and walking down river. It’s been a target rich environment to say the least. 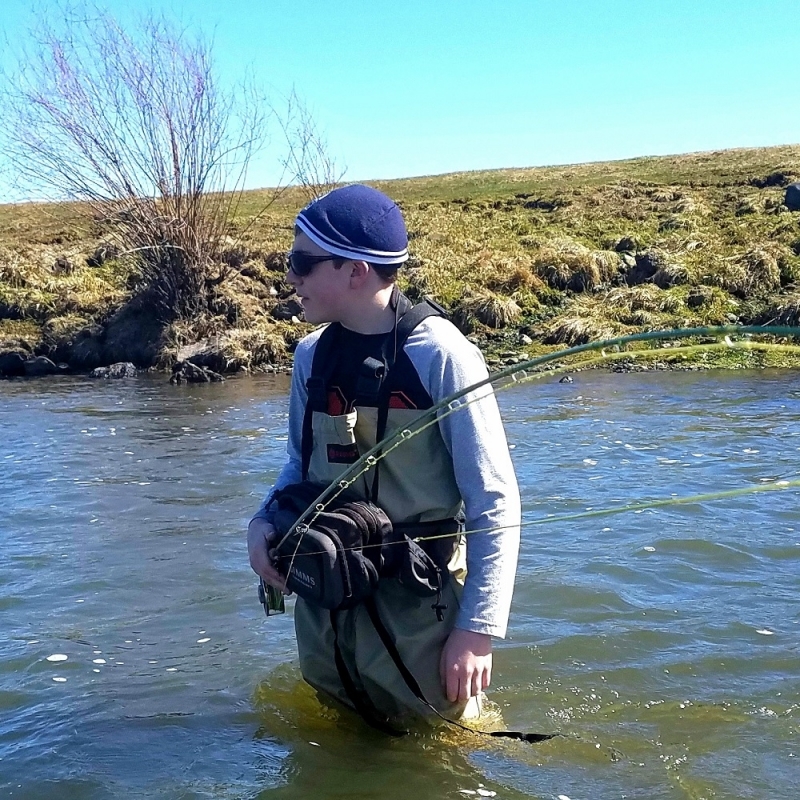 You may have to sort through some smaller trout but there are plenty of larger trout around. Another place to have a look is McCrea’s Bridge. Park at the bridge and walk up river. You could also slide a boat over the snow and row up. Black leech patterns and midges. 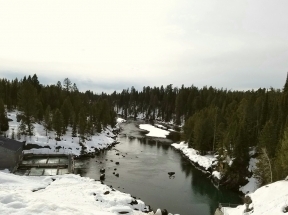 The lower Henry’s Fork has been hit and miss. 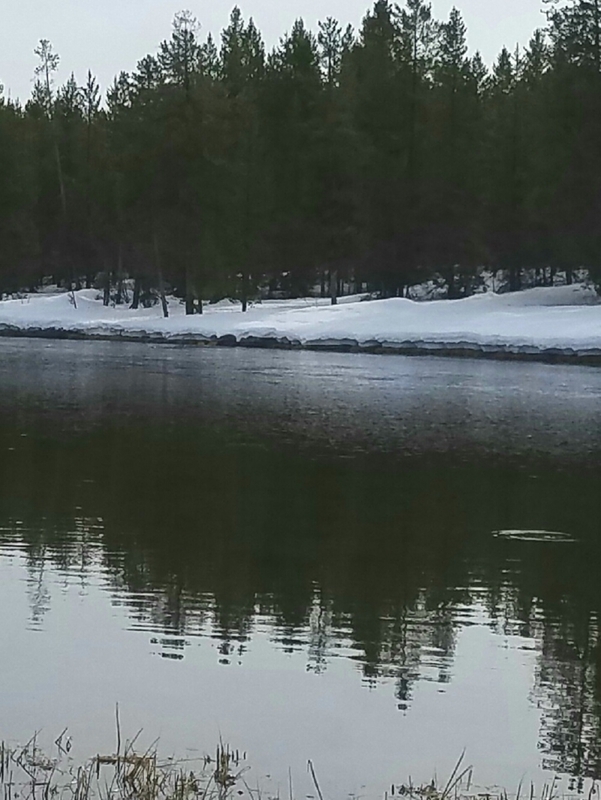 The water has cleared up a bit and is fishable. Access has not changed from last week. All access from warm river on down are good to go. A few more blue wings are starting to show up. I think the key is to keep an eye on the weather. As temps climb the Warm River and Robinson Creek will begin to put some color in the river. This does not mean the river is unfishable but keep in mind that it will bring water temps down. Cooler water temps affect hatches. I would come armed with a little bit of everything this time of the year. I don’t have much to report in the way of new patterns, have them all. Rubber Legs, small beads and streamers. Blue wing patterns and midges are a must. 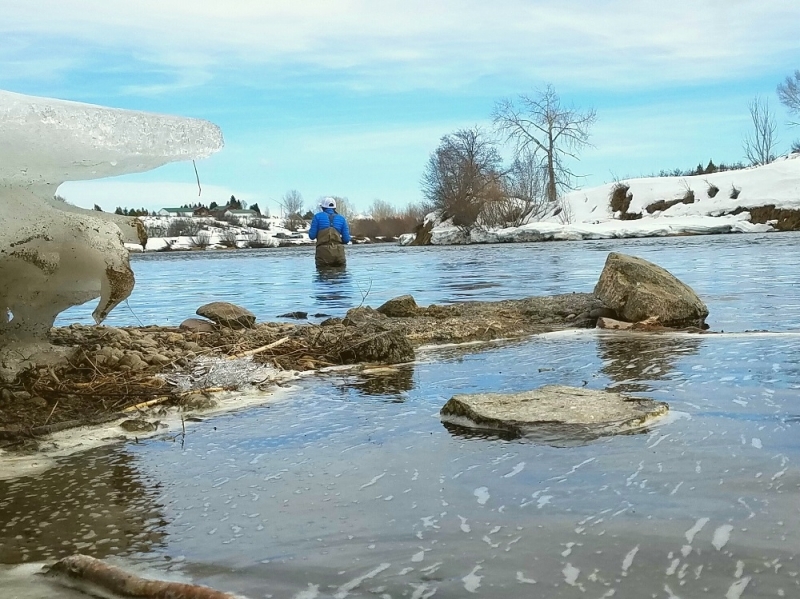 Like the flows, the rumor mill is running big on the South Fork. I have heard everything from flows going up to 50,000 to the river will not fish until August. The truth be told Jesus Christ is not heading to the South Fork in the form of 50,000 cfs. We are nowhere near the record snow pack of 1997. To quote Mike Lawson there is plenty of solid information out all you have to do is look. Flows out of the Palisades are 17,700 and should stay that way for a while. As of this morning the Palisades is down to 23% of capacity. My advice is to stay off the river. Things can go wrong in a hurry on the South Fork at 10,000 cfs even for a seasoned guide so floating at 17,700 is in my mind just asking for trouble. The Madison River has also gotten some color to it but with the cooler temps I bet it clears up some. 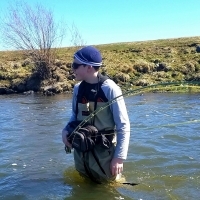 Current flows are around 1,350 cfs just about perfect for wade and float fishing. Again I don’t have new information on fly selection. Small bead heads and midges. If you’re wanting to float the Pine Butte access is fine. I would make sure to look at Palisade’s access. There was a large drift but it may have melted by know. The burnt tree access is fine but Ennis is not an option. Things are changing quickly however so don’t be afraid to scout out these access points.